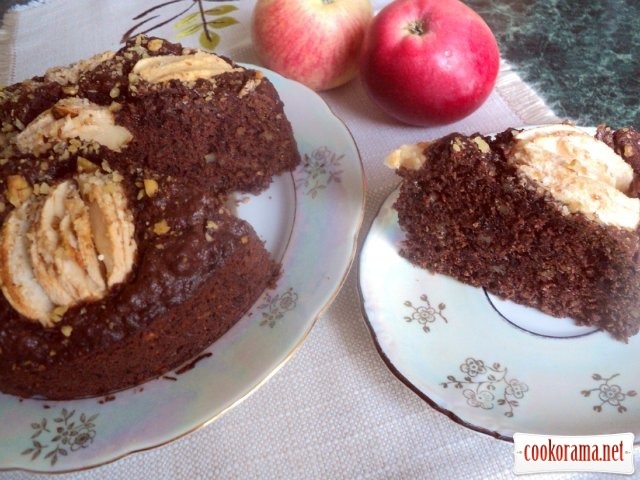 Very tasty, the mega chocolate cake with nuts and apples! 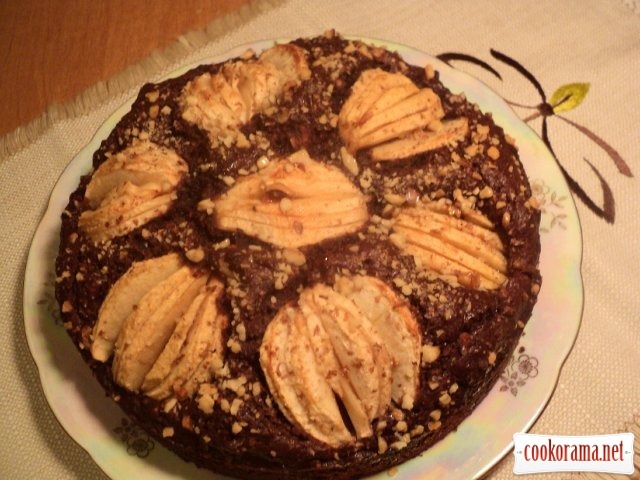 Just an admiration for fans of chocolate and apples! 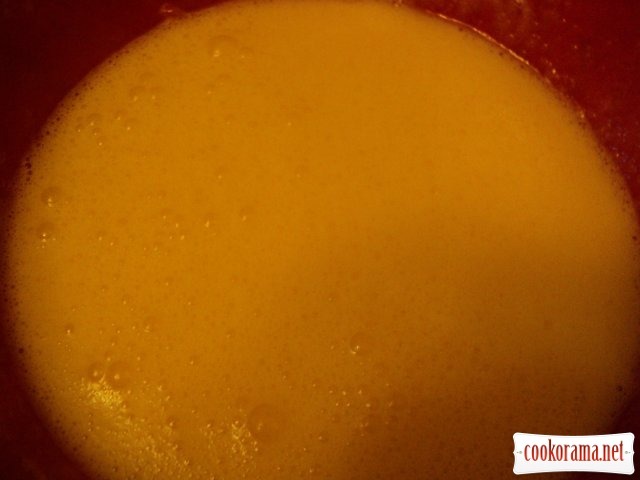 Mix eggs with sugar and softened butter. 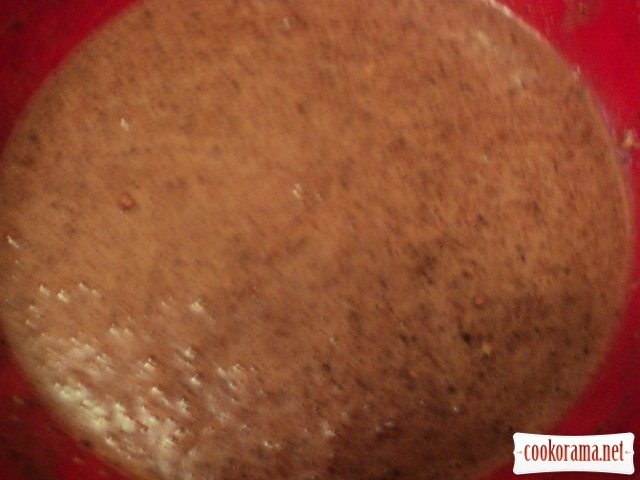 Grind nuts (not too finely), grate chocolate or grind in a blender. Add to mixed eggs cocoa, liquor (I added black currant one), ground nuts (leave some for topping) and grated chocolate, stir with shovel. Next add flour in few portions and soda with vinegar. Cover bottom of form (I got of 20сm) with baking paper. Grease bottom and sides of form with butter, pour dough. Cut apples in quarters, peel, remove seeds and slice, but not to the end. 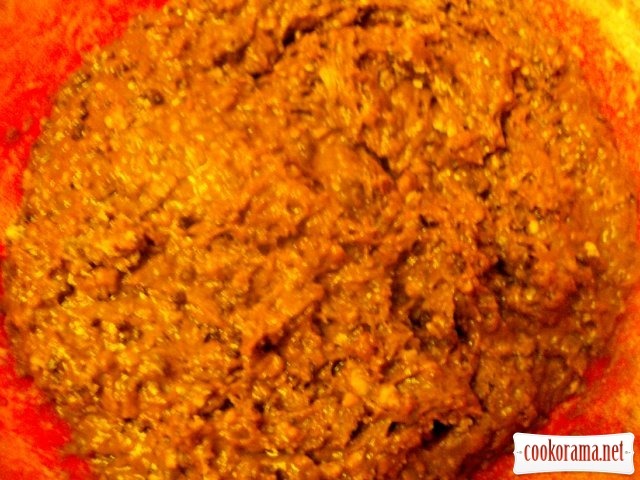 Spread on dough, pressing a bit. Bake at 175℃ for 45 min. Let the ready pie cool a bit, remove from form, grease apples with honey with a brush. 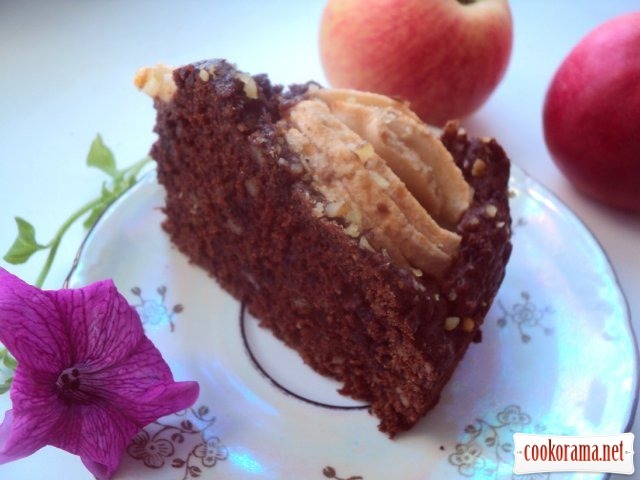 Top of recipe "Pie "Apples in chocolate""
Людочка, пирог очень вкусный, я такой пекла давно-давно! Вот рылась сейчас и нашла фотку, август 2009 года, только я его аж 27 см делала, у меня все формы большие. 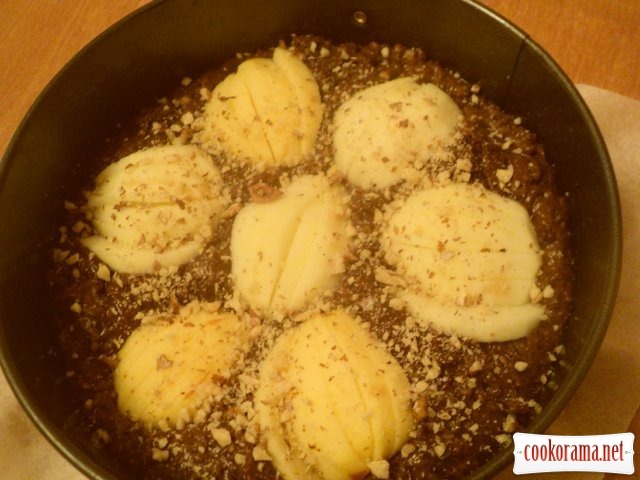 О, тогда ты знаешь как это вкусно.! Замечательный пирог! 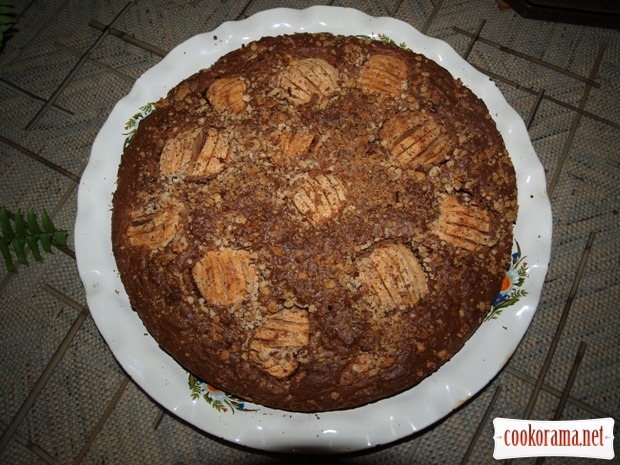 Recipes, Pies, Pie "Apples in chocolate"